Feni, the most popular drink of Goa, traveled from the Arabian beaches to the American shores last year. Now it is the Arabica coffee of Coorg to travel from the Indian state of Karnataka to the United States. The single-origin Arabica coffee of Coorg will be sold at Starbucks outlets across Seattle in Washington later this year. Starbucks, an international coffeehouse chain having 84 outlets in India, has proposed to support India’s coffee production by importing Coorg Coffee to Seattle where Starbucks was founded in 1971. The American coffee brand will import coffee from the Tata Group’s coffee estates spread across Coorg. Starbucks partnered with Tata Coffee, a decades-old brand owned by the Tata Group, in 2011. The premium Indian coffee from Coorg will be roasted and sold at Starbucks’ Reserve Roastery and Tasting Room in Seattle. India where both Robusta and Arabica, two popular coffee types, are produced is the 6th largest coffee producer in the world. The Arabica coffee of Coorg is expected to be a brand new flavor to coffee lovers in Seattle where Starbucks had started its journey from. John Culver, President for Starbucks’ business in China and the Asia Pacific, said, “Starbucks’ plan to sell the Arabica coffee of Coorg in Seattle is the first step towards popularizing Indian coffee in the United States.” India’s coffee production has gone up by 16% over the past five years, according to International Coffee Organization (ICO). 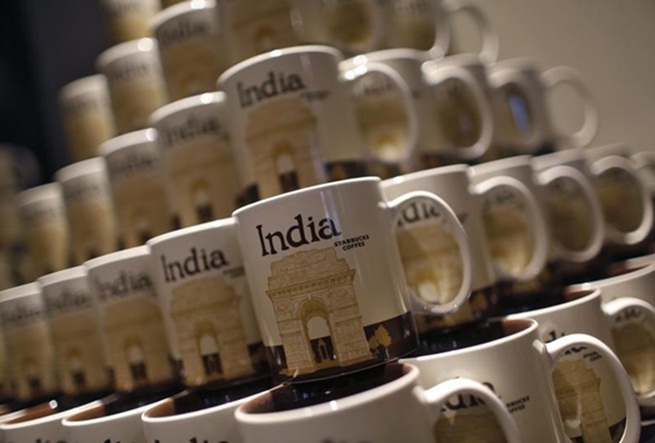 Since Starbucks opened its first Indian outlet in Mumbai in 2012 in alliance with Tata Global Beverages Ltd, India has been the fastest-growing market for the Seattle-based coffee chain. The formation of Tata Starbucks Private Limited, a joint venture between the Tata Group and Starbucks, created a new wave of coffee culture across urban India. Starbucks India roasts and serves only 100% Arabica coffee of Coorg at its 84 shops across six cities in India. Now it’s Seattle that will drink to the premium Indian flavor of coffee from the Nilgiri Mountains in South India. Travel Beats by IndianEagle, a leading US-based organization booking Seattle to India travel, publishes interesting stories and latest news from USA and India for the Indian Diaspora.